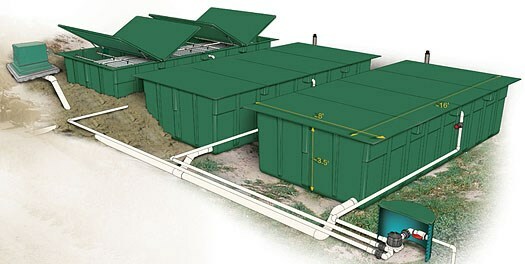 Orenco Systems Inc., along with Green Wastewater Solutions is available to help the design community navigate through the multitudes of choices when it comes to large and centralized community treatment systems. Together we’ll explain the benefits of each system component and how combining all these components as part of the AdvanTex Commercial system is the most effective choice by far. The Engineering department at Orenco Systems Inc. along with Green Wastewater Solutions will work alongside the designer to assist with, regulatory meetings, preliminary and final designs, until the plans are approved. Then we’ll continue with the Installation contractor to provide all required AdvanTex components, preconstruction training, help and oversee the systems installation and startup. Upon acceptance of the Treatment System, Orenco Systems, Inc. and Green Wastewater Solutions will continue to provide technical support to the system owner and operator of the system for the life of the system. Together, Orenco Systems, Inc. and Green Wastewater Solutions are committed to the AdvanTex Treatment System and will always be there for our clients and customers.